If you are planning to visit Scandinavia in summer 2015, I have mostly good news for you! In 2015 the traffic on Copenhagen is increasing. Copenhagen is a great destination in itself and only 20 minutes away from southern Sweden. Copenhagen is a great hub if you are planning to visit Scandinavia and the Baltics. Scandinavian Airlines increases San Francisco flights. Scandinavian Airlines, also known as SAS, is flying an Airbus A340-300 non-stop five times a week San Francisco – Copenhagen and back. In Early 2015 this flight will be flown 6 times a week and in April it becomes a daily flight. After not having any directs flights from the American west coast to Scandinavia for 3 years when Seattle was cancelled I am pleased to see this route doing well. San Francisco makes sense because SAS Star Alliance partner United has one of its biggest hubs in SFO. According to Kenneth Christiansen, Marketing Manager SAS Denmark, stated during a press event that they hardly notice any competition from Norwegian flying in to Oakland. About 50% of the traffic between San Francisco and Copenhagen are business travellers and benefit from the higher frequency, a solid bonus program and easier re-booking. Scandinavian Airlines cuts capacity New York – Copenhagen. SAS service Newark Liberty Airport with double daily flights between 15th of June to 25th of September this year which is a decrease from 2014 when the airline offered double daily flights from end of March to end of October. The reason for the cut in traffic is said to be renovation of their long haul cabins. This means that there will be roughly 80 return flights less on the route this year, so Delta´s expansion in the summer schedule is welcome. 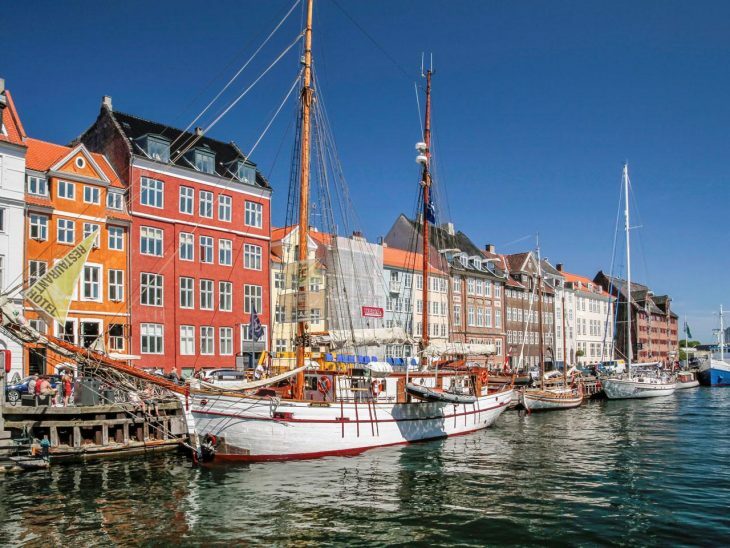 Delta Airlines Expands Summer Schedule on Copenhagen. Delta will service New York´s JFK with a daily flight to Copenhagen between 23rd of May – 2nd of October in 2015, which is almost 2 months longer than this year. The flight will be operated with a Boeing 757-200. According to cphtraveller.dk Norwegian´s summer schedule on New York – Copenhagen be unchanged. They are operating Boeing 787 Dreamliner on a low cost concept but has received heavy critics for severe delays. Some of the delays has been linked to delivery problems and the battery problem when the Dreamliner was new and should hopefully disappear with time. Read more about Copenhagens best cocktail bars, things to do on the cheap in Oslo, about things to do in and around Båstad or about world´s best restaurant Noma. You can also read about Scandinavian Airlines award-winning bonus program. Do you have thoughts, comments or ideas about this article about visit Scandinavia in summer 2015? Do you have more information on the other Nordic capitals? Please let me know on Twitter, on Facebook or in the comments below.